VisibleDust. Removing dust from the surface of digital SLR sensors. from the surface of delicate objects such as digital SLR sensors. 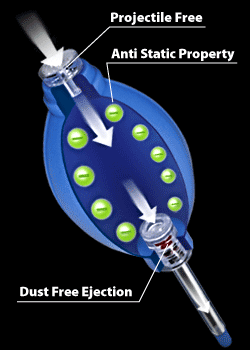 VisibleDust revolutionized the sensor cleaning industry by introducing the world’s first Sensor Brush®. Utilizing a patent pending procedure, Sensor Brush® is capable of attracting dry dust with enhanced static-electric charges. Since then our research and development have introduced cutting-edge products that include the renowned Arctic Butterfly®, our travel-safe cleaning solutions and swabs. Our firm is the renowned producer of high quality DSLR cleaning products, especially tailored for the digital sensor. The Sensor Brush®, Arctic Butterfly® (Super Bright), Quasar™ Sensor Loupe®, Sensor Clean™, VDust Plus™, Smear Away™, and special Visibledust Swabs™ for sensor wet cleaning are a few of our outstanding products. that delivers an immaculate sensor quickly and safely. VisibleDust’s products are considered to be the safest, economical and most efficient choice on the market for cleaning your sensor. We are proud to put our biochip knowledge to the test by bringing you scientifically proven products. Backed by our customer service team and high standards, VisibleDust always gives you our best, from our labs to your camera bag.